Have you ever heard that wearing a hat all the time can make you bald or if there is a no sign of hair loss on your mother’s side you will be safe? Hair loss is a condition that affects lot of people in the world and with so many myths to read and hear can be really hard to get the right answer about what can be done to prevent and treat the hair loss. There are various types of loss of hair and non of them are limited to the men in general. The most common form of hair loss is female and male pattern baldness which affect up to 40% of women and 80% of men. 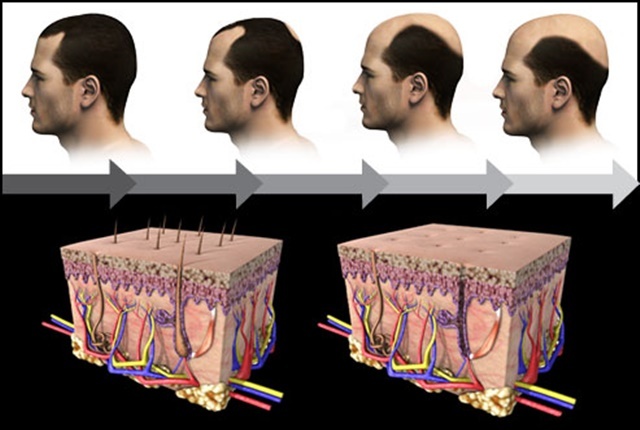 Unfortunately, male pattern baldness is the most common type of hair loss in men. Many surveys show that more and more men experience hair loss, which extremely affects their self-confidence and causes them to go through some emotional crisis.